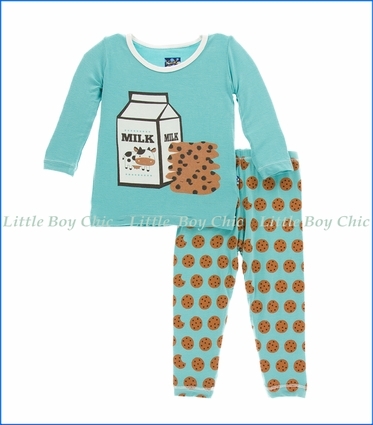 You can rest assured that he'll be his most comfortable in these long sleeve pajamas by Kickee Pants. Made of super soft, breathable, and eco friendly bamboo fabric that feels cooler in hot weather and warmer in cold. Soft hand feel that is specific to bamboo fabric. A tad of stretch for added comfort. Snug fitting for extra safety. Free of flame retardant chemicals and safe for kids.